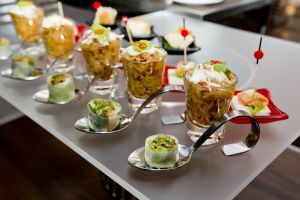 Choosing the right catering in Las Vegas can be a daunting task. 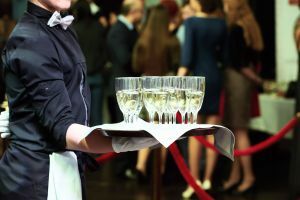 With so many options to choose from, you want to know you can trust your event to a company that will deliver. 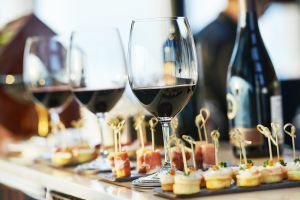 Whether it’s an informal cocktail party or a big office luncheon, you want professional caters in Las receive the praise for hosting a top notch event or occasion. Impress business clients with one of our catered in lunches or show those potential new in-laws a good time with quality bar and food service like our famous Taco Bar. 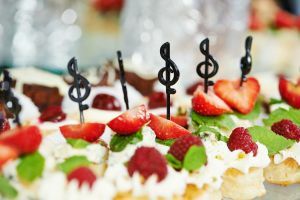 We’ll cater your event down to the smallest detail. Vegas. No one caters Las Vegas like us. We’ll set up, tear down, do the dishes and you get to receive the praise for hosting a top notch event or occasion. Has your son made the soccer team or your daughter won a local science fair? Let our staff of experts throw the ultimate celebration party. It can be a simple catered “chicken fingers and fries” experience or a full blown catered celebration that will have them and their friends clamoring for more. 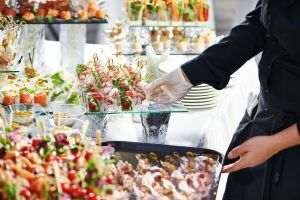 Let our team of professionals leave you with a positive experience and comfort in knowing you’ve chosen one of the top Las Vegas catering companies. We provide catering for the entire Las Vegas area. Whether it’s a sit down dinner in Summerlin or a Liquor Catering Las Vegas style party at Lake Mead, we’ve got you covered. 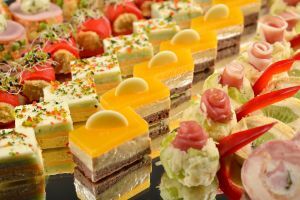 Our full range of services will provide you a customized option that differs from the cookie cutter offerings of other Las Vegas catering companies. Our staff loves to deliver high quality service. We hire dedicated workers who will stop at nothing to deliver the ultimate Las Vegas catering experience. From bar staff to servers and bussers, we deliver smiles along with our taste tempting meals. Our chefs offer a wide variety of entree and side dish options, from simple finger foods to gourmet dinners. 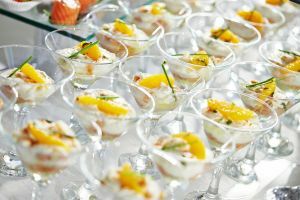 When you hire us for your special event, you’ll have a detail-oriented Las Vegas Catering company that will treat you like family. From BBQ Catering Las Vegas style to a small get together, you’ll have a team dedicated to catering Las Vegas and leaving an impression your guests will never forget. Every event has a different set of needs. A Liquor Catering Las Vegas event will have a different set of needs and priorities over a Taco Catering Las Vegas event. Although, there is one thing they all have in common: our focus on service. Catering in Las Vegas can have its own set of challenges with logistics, including weather issues and wind. We keep these events in mind when planning your catered event.